Brittany Edwards, 28, of Bowling Green said that when you are an addict it follows you everywhere. Prescription pills and a family history of addiction were the main causes of Edwards’ battle with substance abuse. When she was in high school, the impact of her parents’ divorce caused Edwards to turn toward substance use as a means of escape. “I tried anything to numb any kind of feeling I had,” Edwards said. In 2017 the U.S. Department of Health and Human Services and President Trump declared opioid usage in the United States a public health emergency. Every day around 115 people die after overdosing from opioids in the United States, according to a report revised in March 2018 by the National Institute on Drug Abuse. 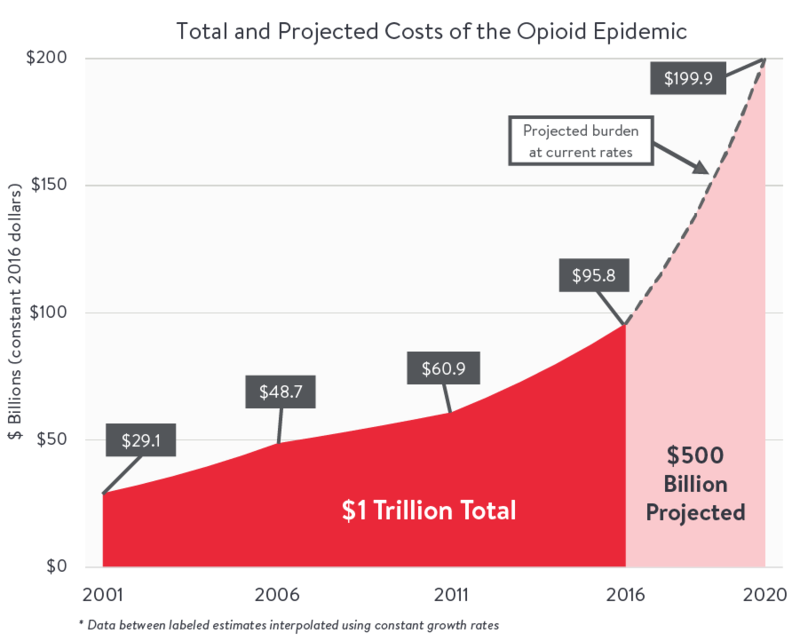 According to a report by Altarum the cost of the Opioid Crisis in the U.S. has reached $1 trillion since 2001. According to the National Institute on Drug Abuse, Kentucky was in the top 10 states with the highest opioid-related overdose deaths and had more than double the national average. It was also reported that Kentucky providers wrote 97 prescriptions per 100 persons, 20 percent higher than the national average. Entering a recovery program can be difficult for those struggling with addiction and their struggles do not end after entering a program. Addiction is a long battle that can take a lifetime to overcome. Brandon Will, 27 of Cleveland said he was only able to accept help and enter a recovery program after feeling desperate and hopeless. After detoxing, Will said that everything that he had been trying to numb instantly came back. Being clean for almost 13 months, Will credited a strong support system and people being willing to help him with his sobriety. There are many options available for those seeking help for their addiction. In Bowling Green, Narcotics Anonymous meetings are held every night of the week according to the Southern Central Kentucky Area of Narcotics Anonymous website. The Barren River District Health Department offers an anonymous needle exchange program in Bowling Green. This program allows anyone to exchange their dirty needles for clean ones. The goal of programs like this is to prevent the spread of diseases transmitted by dirty needles. Lisa Houchin, the community health promotion branch director for the Barren River District Health Department did not respond to calls by time for publication. The opioid problem in the U.S. does not just affect the individuals battling addiction; the families and friends of those who struggle with addiction to opioids are affected in huge ways. Susan McKee never expected to lose her son, but especially not to an opioid overdose. McKee’s son Evan Hardison died from a heroin overdose in 2007 at age 18 in Portage, Indiana, while she and her husband were out of town visiting family. McKee called the hospital they had taken her son to ask the nurse about his condition, unable to understand what had happened. McKee said her son suffered a heart attack, renal failure and liver failure, but the most serious was brain damage that occurred from the heroin. “I felt shaken to my core and I felt fear as I looked at my son’s broken body,” McKee said. There is hope for families struggling to overcome the destructive forces of addiction. For Brittany Edwards her children were a driving force behind her recovery. Edwards’ life was seemingly unaffected by her drug and alcohol abuse until the day she got caught driving under the influence. Edwards was arrested once in 2008 and charged with DUI and possession of a controlled substance and again in 2009 for DUI and driving with a suspended license according to the Warren County Regional Jail. During her court hearing, she asked to be court ordered to a recovery program called Teen Challenge. Teen Challenge is a faith-based nationwide recovery program for teens and adults according to their website. Edwards said when she realized that her children’s lives were going to be affected by her addiction she knew she had to stop.